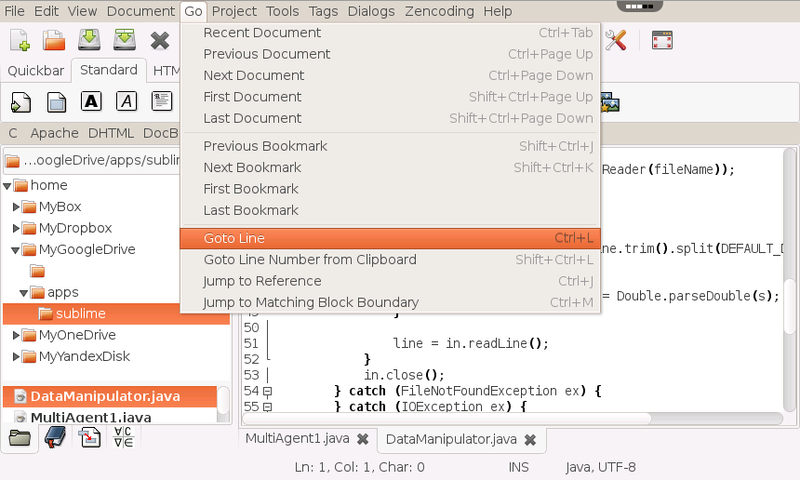 Bluefish is a browser-based editor targeted towards programmers and web developers, with many options to write websites, scripts and programming code. 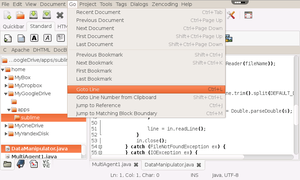 Bluefish supports many programming and markup languages. 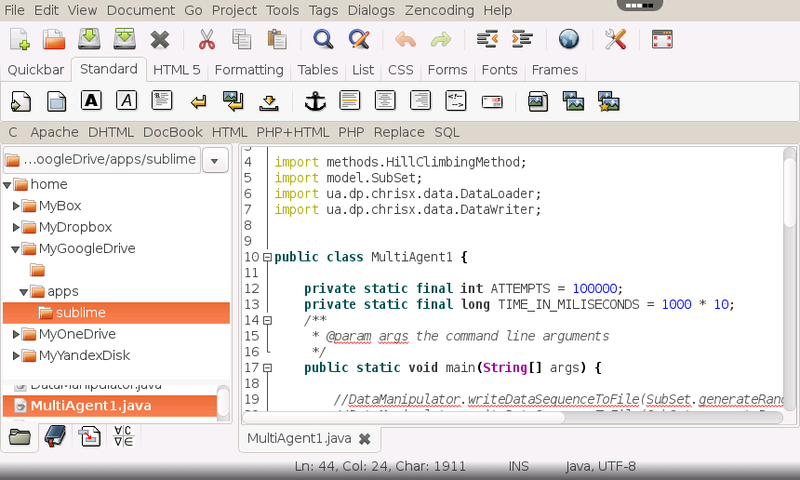 Lightweight - Bluefish tries to be lean and clean, as far as possible given it is a GUI editor. Fast - Bluefish starts really quick (even on a netbook) and loads hundreds of files within seconds. 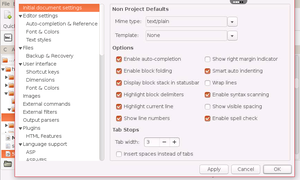 Project support, enables you to work efficiently on multiple projects, and automatically restores settings for each project. Very powerful search and replace, with support for Perl Compatible regular expressions, sub-pattern replacing, and search and replace in files on disk. 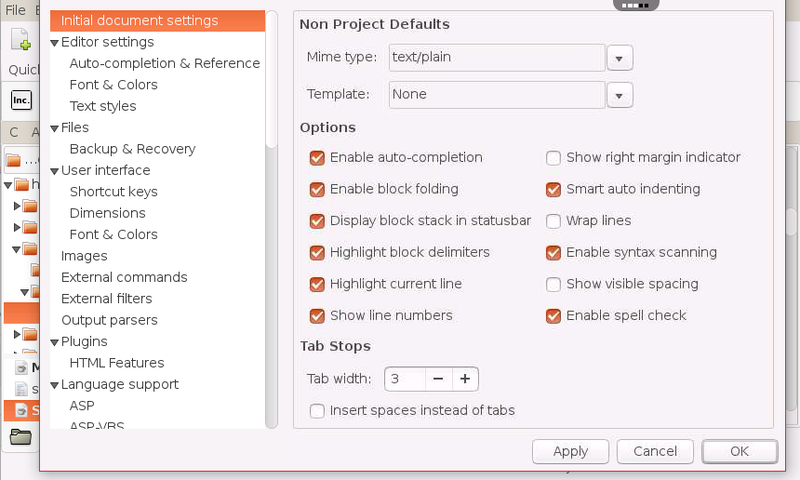 Many tools such as tabs to spaces, join lines, lines to columns, strip whitespace, etc. etc. 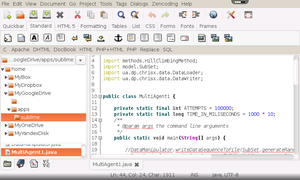 Multiple encodings support. Bluefish works internally with UTF8, but can save your documents in any desired encoding.